"A dazzling cloud, swirling, pulsating, drawing together to the thinnest of waists, then wildly twisting in pulses of enlargement and diminution, a fluid choreography of funnels, ribbons, and hourglasses, spills and mixing, ever in motion. Dense in one moment, diffuse in the next." Grainger Hunt in Living Bird Magazine describing a flock of starlings moving in a murmuration. Join us in an immersive dance piece that enacts an underwater decomposition and lays bare the bones. 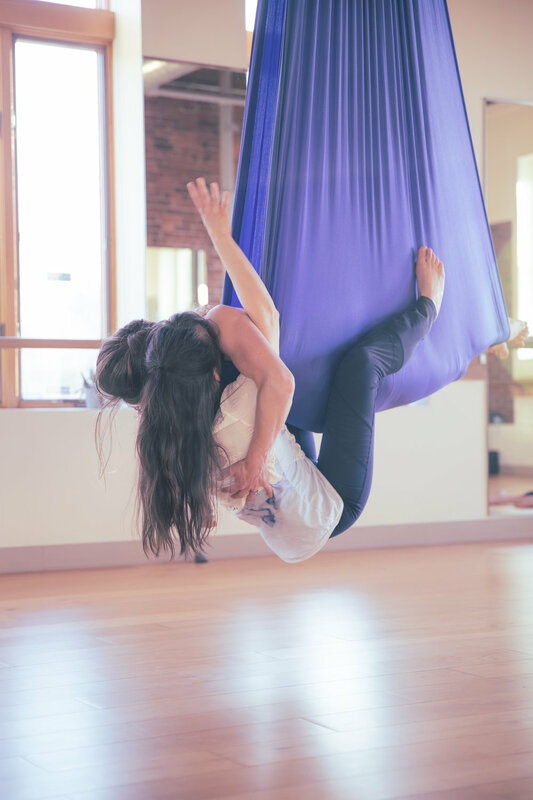 We invite the audience into our process of un-becoming through three-dimensional movement with aerial fabrics, partnering, and embodied sound. Live sound score by Melinda Kinzie, interactive art sculpture by Nicole Colella. Inspiration for piece from the story of Skeleton Woman as well as other myths of self-sacrifice and watery rebirth. The performance is approximately 1 hour and takes place in the beautiful Core Studio at 208 Flynn Ave, Burlington, VT on March 16th, 2019. Shows at 4pm and 7pm. Sliding scale of $5-$15/ticket, thank you for supporting our artistic process! Not recommended for young children due to intensity of subject matter and proximity of the dancers to the audience. Please reach out to ndagesse@gmail.com with any questions. 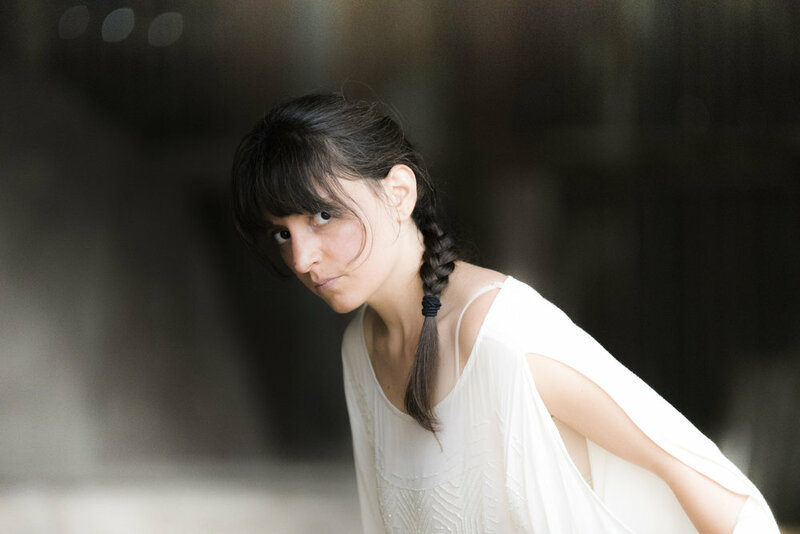 as we explore a moving mythology of becoming (and unbecoming) animal. Arts and Community Workshop, Terrific success! Our first Birthing Bodies Arts and Community Workshop was a great success, thank you so much to the phenomenal teachers and passionate, creative participants! Thank you to the Culture Mill for providing the beautiful Haw River Ballroom to house the workshop, check out their amazing programing at culturemill.org. Through personal stories, Circle singing, and non-verbal play, non-dancers and dancers alike experienced the creative process surrounding motherhood. Look for our next workshop coming in May. Birthing Bodies is a moving history of place, people, and creativity. 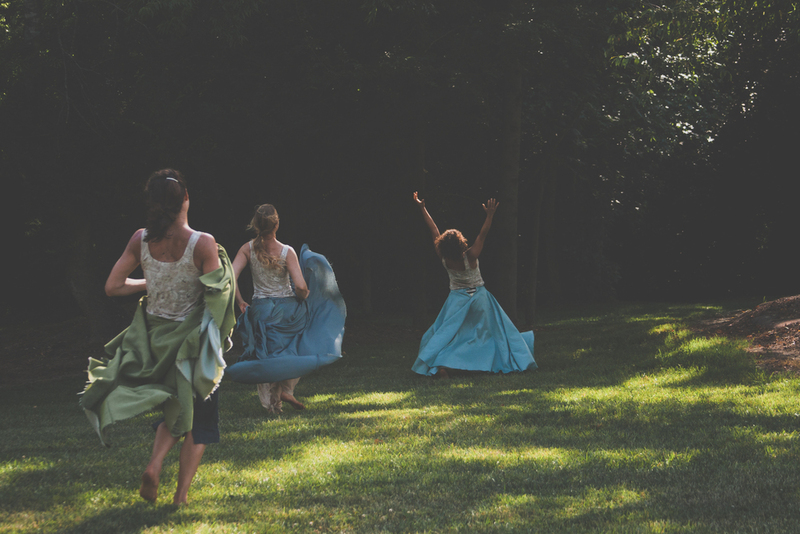 Based on the rich history of pregnancy, midwifery, and home birth in North Carolina, this piece is a collage of physical birth stories woven together with choreography, poetry, and live music. Sourcing the palimpsest of place, movement phrases will be created by the dancers in ruins and historic homes in the triangle. These motives, inspired by our own stories as well as the stories of midwives, nurses, and mothers will be crafted into a full length installational work. Original poetry is created alongside choreography by the talented Jaki Shelton Green who sources her own history of motherhood and memory in North Carolina. Herbal remedies, prayer beads, and folk charms. Rocking, swaying, groaning, and writhing. Storytelling and myth inform our choreography and connect our movement with that of the past. We are united in our transformation. Murmurations Dance would like to thank DIDA, the Culture Mill, and Duke Homestead for their support of Birthing Bodies in its latest form! Please support these organizations and the incredible work they do in the areas of performing arts, culture, and history in North Carolina!